The Titan Fitness stud-mounted pull-up bar is a great way to add to an existing gym or instantly turn a room into one! 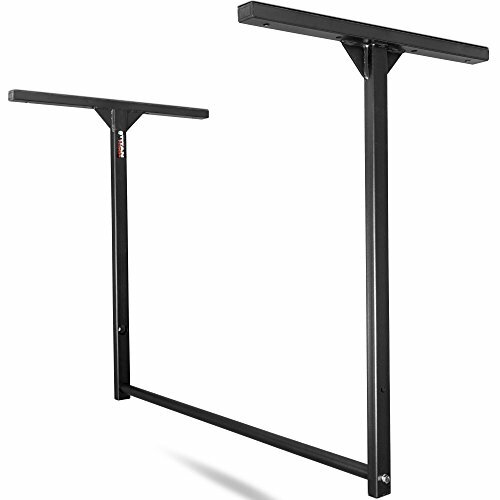 With multiple holes in the sidebars, you can easily adjust the chin-up/pull-up bar to the appropriate height for your needs. You can perform exercises to strengthen your back, upper body and lateral muscles. Installation: Centers on existing studs for mounting.